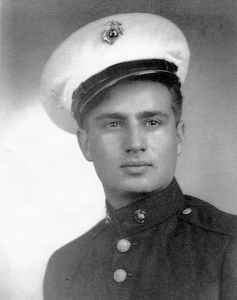 Private First Class Nassetta was a rifleman with Company C, 1st Battalion, 1st Marines, 1st Marine Division. On April 24, 1951, while defending his position against superior Chinese forces at "Horseshoe Ridge," near Tangam-ni, South Korea, he repeated exposed himself to enemy fire to delivered accurate automatic weapons fire on the enemy and engaged the enemy with hand grenades when at close range until he was mortally wounded. For his leadership and valor, Private First Class Nassetta was awarded the Silver Star and the Purple Heart posthumously.